A historical interview with Dang Thong Phong Sensei conducted by Stanley Pranin. 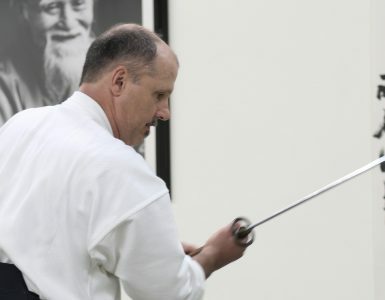 This article has been supplemented with photos of Phong Sensei and his dojo from 2017. Stanley Pranin: I want to thank you very much for inviting me to come today. I became very interested in learning more about your background when I read the newsletter you sent me describing your beginnings in aikido. To begin with, I want to ask you how you came to establish this dojo here in Orange County? It seems to be my karma. After more than forty years of learning, practicing, and teaching various martial arts, their spirit has permeated my blood and my bones. After so many years, it’s like I’m addicted to the arts. 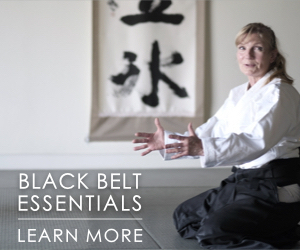 During the last thirty years, I have tried to establish dojos whenever and wherever possible. 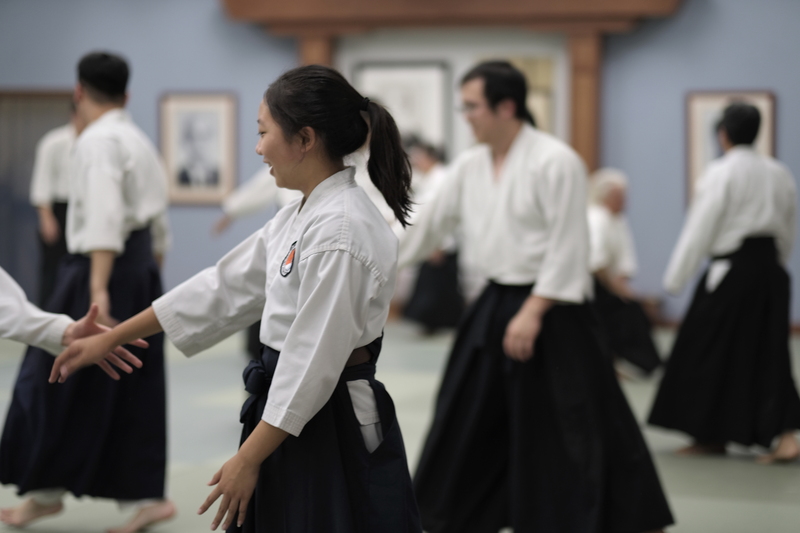 Four months after we resettled in California, we moved to the city of Garden Grove in Orange County, and when I noticed that there was no aikido dojo, I decided to open one. Where were you living in Vietnam? I believe that you began training in aikido very early, perhaps in the late 1950s…? I started training in judo and shaolin kung-fu in the early fifties. However, in 1958 my brother Tri Thong Dang Sensei returned to Vietnam from France and started teaching aikido. I have practiced this wonderful art since then. But at that time, I was not able to fully devote myself to aikido due to my family responsibilities. My father passed away when I was very young. My mother had to work hard to raise the three children who were left at home. Therefore, besides going to school, I had to spend my extra time working to help out my mother. I also assisted teaching shaolin kung-fu and judo at the Han Bai Duong School of Martial Arts, one of the most famous martial arts schools in Saigon, founded by the late Dr. Nguyen Anh Tai. The Chief Instructor was my own teacher, Vu Ba Oai Sensei. It wasn’t until 1961 or 1962, when a representative from the Hombu Dojo, Mutsuro Nakazono Sensei, came to Vietnam to begin laying the foundations of aikido there, that I was able to spend more time practicing the art. Because of my ten years of judo training, I was able to absorb the essence of aikido without much difficulty, and I progressed quickly. 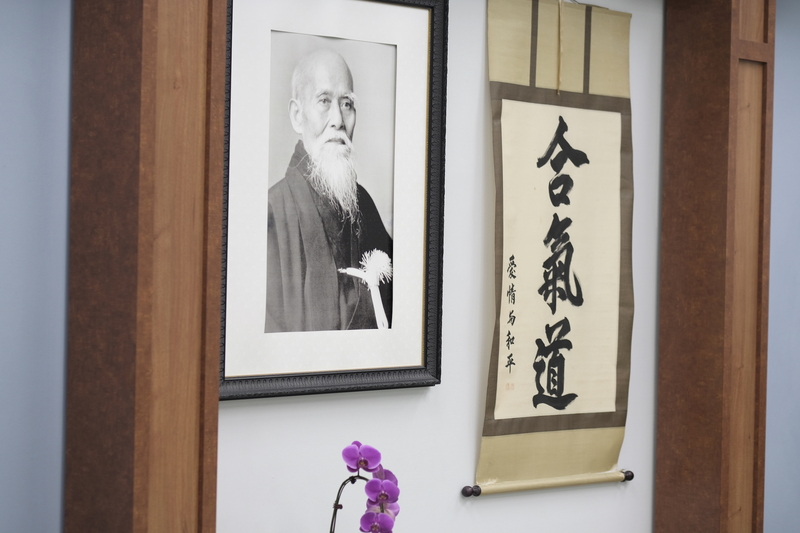 Nakazono Sensei taught both aikido and judo at the Association for Judo and Aikido, founded by Tri Thong Dang. 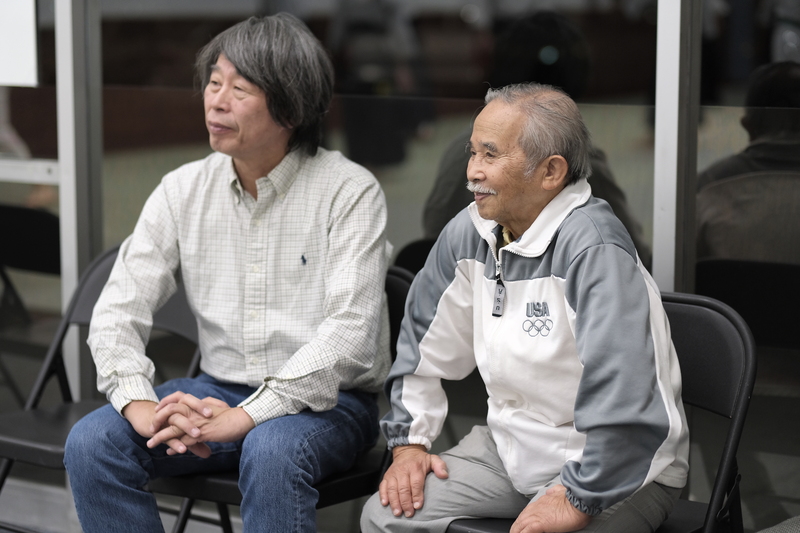 Since I was often able to accompany Nakazono Sensei to his many seminars at training centers for paratroopers and police officers, I was able to learn many of his special techniques. Dang Thong Phong with Haruo Matsuoka and Josh Gold in late 2017. Nakazono Sensei is a very interesting person. I met him once in Paris in 1970. I believe he had a strong judo foundation and that he had began learning aikido in Manchuria. It is true that he was very good at both judo and aikido, but he also held high ranks in other martial arts as well, including kendo. He had a total of twenty-seven dan ranks. When did Nakazono Sensei study aikido? I’m not sure, but my brother probably knows. How long did Nakazono Sensei remain in Vietnam? I believe your brother left Vietnam in the 1960s? Yes, he left in 1964. So you were left in charge of the dojo when your brother left for America? When Tri Thong Dang Sensei left in 1964, I was responsible for looking after the local aikido and judo school. At that time there was no federation. Later, I started to establish a number of dojos, both civilian and military, throughout the country. Since I hoped to form an aikido federation, I worked very hard for two years to save enough money to make a trip to the Hombu Dojo to further my aikido training. There I took the exam for sandan, a rank high enough for me to lead the new federation. I then returned to Vietnam and started the official process of establishing the aikido federation at the beginning of 1968. 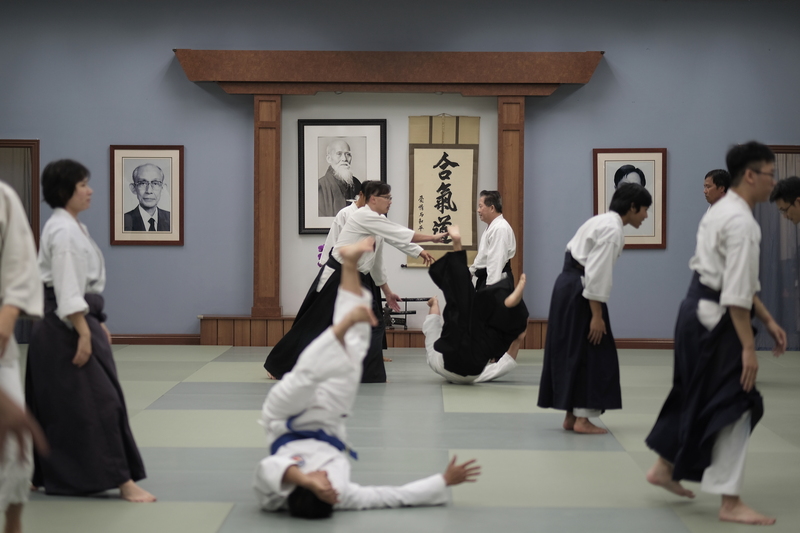 Those who train in aikido in the United States or even in Japan are accustomed to a basic training pattern including warm-ups, basic techniques, and so on. Were there any differences in the way aikido was taught in Vietnam or was it more or less like it is taught in dojos throughout the world? Because of my extensive judo background, I place a lot of emphasis on warm-ups, including aiki taiso, working the joints, and practicing rolling and falling techniques. These are very important. Traditionally my classes have always lasted an hour-and-a-half, with about thirty minutes of that time devoted to warming up. That’s very important. I personally feel that the training we get in simply conditioning the body and keeping it flexible is as important as the training in techniques. That is true. A person who does a good job of warming up will achieve good results during the rest of their training as well. I’ve been in aikido for thirty-one years now. Teachers who were in their forties when I began are in their seventies now, and I’ve observed that while some have maintained very good physical condition, others have not. They would teach, but seldom train themselves, and I don’t think they did stretching exercises. Now that they are older it is difficult for them to perform aikido vigorously. Your observation is quite correct. Daily training is necessary. When teaching a technique, a good teacher has to demonstrate not only the details of the movement and their essence, but also the intrinsic power of those techniques. Practicing daily will help develop and maintain that ki, I believe, well into old age. When you were running the dojo in Vietnam, I imagine the political conditions were quite severe. Did the government place restrictions on aikido practice at that time? In Vietnam, most styles have a strong presence because the Vietnamese people love the martial arts. Anyone who wants to operate a dojo must first prove that they are proficient in their specialty. After consideration by the Ministry of Youth and Sports, an application is sent to the Ministry of the Interior where the applicant’s political and civic background are investigated. Anyone who has a prior conviction will not be granted permission to teach. In 1975, after the Communists took over the South, all forms of martial arts practice were prohibited. The Communist government didn’t allow martial arts activities until 1979. All styles of martial arts are under the direction, at the lowest administrative level, of the State’s Agency of Sports and Games. Currently, privately owned dojos are not permitted. I believe, however, that in the near future, the government will be more tolerant towards the opening of private dojos. It sounds as though there was a very rich background of martial arts in Vietnam, including the Chinese and Japanese styles, as well as indigenous styles. I know that even today in much of Southeast Asia there remains strong resentment against the Japanese because of what happened during World War II. Are there still strong feelings, and did you ever encounter feelings of resistance to Japanese things among your students? There hasn’t really been so much resentment towards the Japanese, or against Japanese martial arts particularly, under either the former South Vietnamese government or the current government. In fact, Japanese martial arts were preferred over Korean martial arts. Many different styles of Japanese martial arts were popular among the Vietnamese. Dang Thong Phong with Haruo Matsuoka. 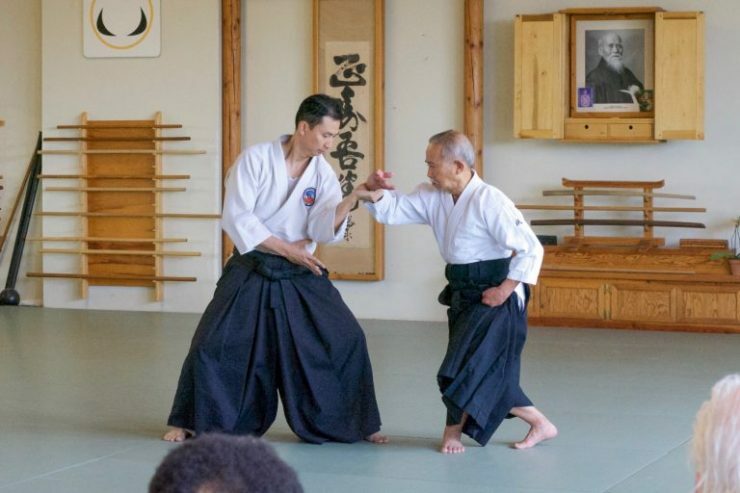 Both Phong Sensei and Matsuoka Sensei lead dojos in Orange County, CA. It was because of an influx of Japanese movies depicting the high level of Japanese nationalism. That was the reason for the preference. A student would obey his martial arts teacher perhaps more than he would his school teacher. If his martial arts teacher told him to die, then he would die. On the other hand, Korean movies were rarely shown in Vietnam and not many people were aware of the Korean patriotic spirit, which is no less than that of the Japanese. Did you have some kind of link with Japan when you were allowed to begin teaching again in the 1980s? Did any Japanese shihan visit or were any of your students able to travel? At that time it was forbidden for ordinary citizens to contact foreigners, so I couldn’t contact any of the teachers in Japan. It was only after I successfully escaped to America, on my eighteenth attempt, that I was able to contact those people again. I gather from reading the interview in your newsletter that you have had some very memorable and dangerous experiences. Also, you have a background in other martial arts besides aikido and judo, including some more combat-oriented arts. In situations where your life has been in danger, what techniques or training did you find were the most important to you for survival? Since 1975 I’ve faced many dangerous situations, but what has helped the most has been my ability to remain calm. This has helped me out of a lot of dangerous situations. That’s very interesting. People who begin learning a martial art, especially young people, often are interested in very quickly acquiring techniques that they can use on the street. I’ve been practicing martial arts for a total of about forty-three years, but I’ve never had to apply techniques on anybody. In most cases, when people have tried to start a fight with me, I have responded with calmness to avoid an embarrassing situation. That’s amazing to hear, especially in light of your background in a wartime situation. I think it is a credit both to your own training and to the ability of the martial arts to develop a sense of calm in a person. In 1967, the International Taekwondo Federation invited me to South Korea to visit and learn more about the Federation’s organization. At the end of my two-week visit, I expressed my desire to visit Japan and Hong Kong. Some Korean instructors advised me against a trip to Hong Kong, saying that the place was not safe, mostly because I was a foreigner, and an easy target for robbery. But I decided to make the trip, not because I am a risk-taker, but because I truly had confidence in my ability to remain calm and in control of myself. 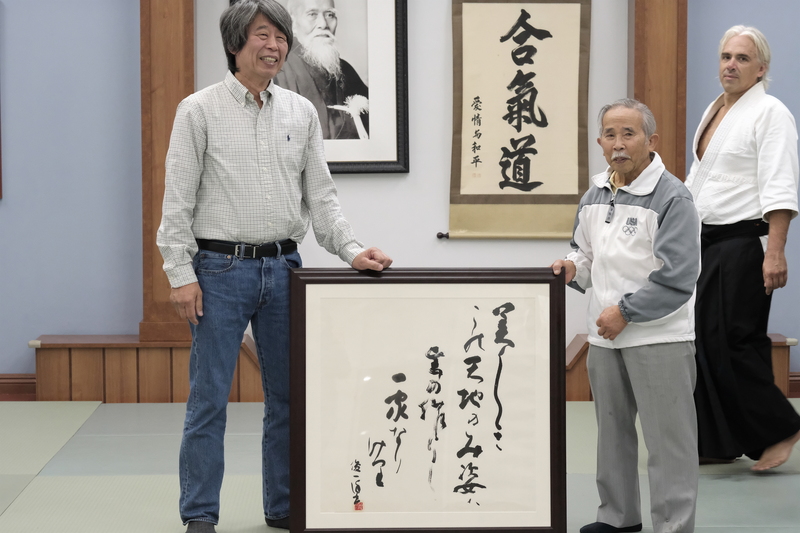 Haruo Matsuoka presenting Dang Thong Phong with calligraphy brushed by Seiseki Abe, in honor of Phong Sensei’s 60th anniversary of teaching aikido. I know that it was very difficult for you to leave Vietnam under the present government and that you made many attempts to escape. Could you relate the story of your successful escape when you were finally able to leave Vietnam for the United States? Fifteen of my eighteen attempts to escape were made by sea, while the other three were by land. During five of those attempts I was chased by Communist patrols or policemen. I was arrested twice and imprisoned for eight months the first time and for thirty-seven months the second time. During those thirty-seven months I was alternately held in prison and then taken out to the fields to do hard labor, a cycle that was repeated over and over. Before my eighteenth attempt, one of my students who had successfully left Vietnam had written back to his mother that the trip had been very well-orchestrated. His mother contacted me and told me to use a similar method. I didn’t want to go then because the last time I had been arrested my family had no news of me for over a year. So I was very reluctant. At that time people were beginning to be able to leave legally, so I hoped to go the legal way. However, it would have been impossible for me because of my previous escapes from prison. Because of my status as an officer in the South Vietnam Armed Forces teaching aikido to some of the American Embassy personnel, I had been able to have my family evacuated at the very last minute by the American Embassy. I, however, had to wait for another evacuation flight that never materialized, and was forced to remain behind. My escape was accomplished by sea. We spent about two months journeying from one island to another, passing through about five in all, before arriving at Galang Island in Indonesia, where one of the United Nations High Commissioner for Refugee’s camps was located. Finally, I arrived at the San Francisco International Airport on February 25th, 1986, and was greeted by my wife and two sons, after more than eleven years of separation. We first settled in Sacramento, but it was difficult for me to find work there. I stayed there for four months and then was invited to visit Orange County by some of my former students. I went down to have a look at the area and decided to return to San Francisco to get my family. After moving to Orange County I didn’t have enough money to open a dojo right away, so I got a job working for five dollars an hour, ten to twelve hours a day. I did that for about a year-and-a-half and then borrowed some money to open the dojo. After a month and a half in that first dojo, which was on Brookhurst Way in Garden Grove, the landlord took the place back to bulldoze it and sell the land, so I lost everything. I immediately started to look for another place, and two months later signed a five-year lease for my current 3,000 square foot dojo. Initially, I ran into serious financial problems because the dojo was so new, and nobody knew about it. For the first year-and-a half I worked for nothing and had to put a lot of money into the dojo. Eventually the number of students increased to the point where I could cover expenses. I have been in hundreds of dojos over the years and I can always tell when someone has a good sense of professionalism. For example, I see the cleanliness of this dojo and the displays here. I know you are very sincere in your teaching and I also think you have a very good understanding of how to present your art to the public in a very attractive way. 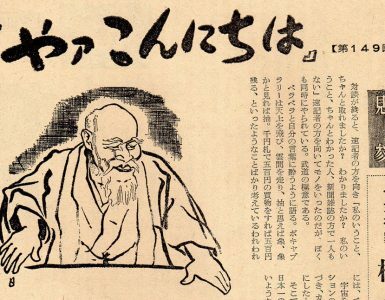 You haven’t had a great deal of experience with American culture or with doing business here, but it makes me think that some of the most important principles of running a dojo are common sense and would work anywhere. I have had extensive experience in organizing and teaching over the last thirty years. Prior to 1975, I was the head of a federation in South Vietnam consisting of more than thirty dojos and ten thousand members. I was also General Secretary of both the judo and taekwondo federations. I began teaching more than thirty years ago. I have learned through my experience that one has to sacrifice in the present, at the beginning, if one wants to reach a goal later, in the future. I discovered that in America, skill is not enoughknowledge and experience in organizations are sometimes more important to achieve success. Currently, in addition to my teaching responsibilities and the daily operation of our federation, I am preparing to write a book, and if possible, to produce a videotape on aikido techniques for those who want to learn more about Tenshinkai Aikido. It will also be my gift to future generations. If an American looks in the phone book, for example, and finds an American teaching some martial art, I don’t think he would have any problem in training with that teacher. But an American in the United States might consider it unusual to learn a Japanese martial art from a Vietnamese teacher. Have you had to deal with that sort of situation and if so how have you responded? What you say is very true. An American who comes to this dojo to learn a Japanese martial art from a Vietnamese person, especially from a very small Vietnamese person, must have quite a few doubts. However, many people who have visited a number of other dojos before coming here like the way I teach aikido because my style is much softer than some others, with many light movements. I believe many of the members in your dojo come from the Vietnamese community here in Orange County. What language do you use when you teach? For general sessions I speak in Vietnamese, except when interacting on an individual basis, when I use English. Sometimes an interpreter is needed to clarify a complicated point. Currently about seventy percent of my adult students are Americans or Westerners, while ninety percent of the students in the children’s classes are Vietnamese. 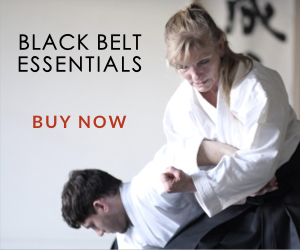 I’ve noticed through reading your newsletter and conversations with Eric Womack on the way over here that you have made efforts to reach out and have exchanges with teachers from other dojos, for example Kim Peuser and Hoa Newen from the Oakland Aikido Institute, and with Frank McGourik. I think that such exchanges are very positive in that they help make your dojo and your activities known, as well as expose your students to other approaches to the art. I would like my students to expand their experience by having chances to train with other teachers. Given the very violent culture in which we live, I imagine that many prospective aikido students are interested in learning self-defense. Aikido techniques, or let’s say some of the softer approaches to aikido, are often criticized by other martial artists as not being effective in real situations. How do you respond to doubts prospective students may have about the technical effectiveness of aikido? When the Steven Seagal movies came out we got a lot of new students, but many of them ended up dropping out because they expected that they could perform as well as Steven Seagal after just a few months of training. 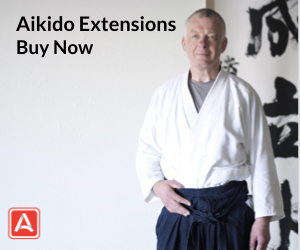 I often emphasize to beginners that expecting to be able to apply aikido techniques effectively after only a short period of training is unrealistic. Only after at least two years of hard work can one appreciate the effectiveness and beauty of this art. And that is only the beginning. The path of aikido is such a long one that sometimes we have to spend an entire lifetime traveling it. The more we practice, the more we discover its hidden beauties. This is because aikido is more than a system of self-defense; it is also an art that promotes the humanistic aspect of the martial arts. 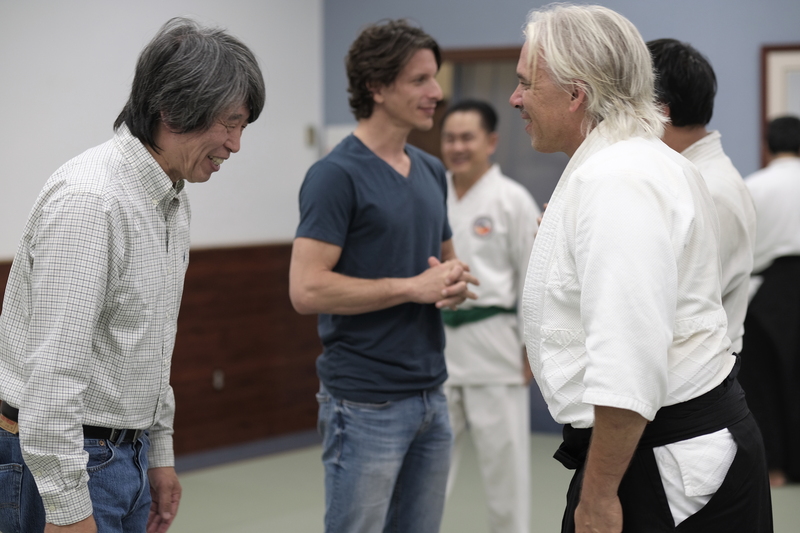 Haruo Matsuoka and Josh Gold making new friends at the Tenshinkai Aikido dojo. When I teach, I emphasize not creating dangerous situations and not hurting one’s opponent or one’s fellow students. I don’t want to mention any names or schools, but there are several martial arts teachers who show off by striking their students very hard, sometimes injuring them. I don’t approve of that sort of thing. 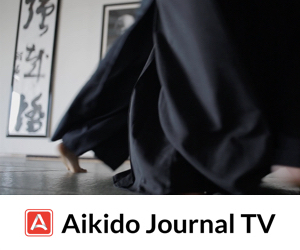 I’ve touched upon that subject many times over the years in Aiki News/Aikido Journal, but despite O-Sensei’s philosophy, even among aikido teachers there are more than a few high-ranking individuals who regularly injure people during aikido training. This sort of thing disturbs me because it’s not an isolated occurrence, and it’s not being done by outsiders but by some of the high-ranking teachers. It seems a very fine line that we walk between learning a martial art that is effective and being able to apply this in a humane way, always exercising full control. Sensei, in conclusion, is there any area you would like to talk about or emphasize? As a Vietnamese expatriate my mind is always on Vietnam and my goal is one day to return there to teach the other students. Some of them have not learned anything new for the past eighteen years and they are waiting for me. That is my most cherished dream. My students are currently running all the dojos in Vietnam, and they are waiting expectantly for me to come back. The aikido system in Vietnam belongs to the Tenshinkai Aikido Federation and when I return I will distribute diplomas under the Tenshinkai Aikido Federation. Do you have any plans for a trip to Japan in the future? If I have the opportunity I would like to go back to Japan to learn more and expand my experience, in order to be a better teacher. Although I still face financial difficulties most of the time, I always emphasize technique and I never give out diplomas or rank to those who have not attained a certain level. Finally, I would like to express my sincere gratitude to you for accepting my invitation to visit, despite the long distance. On behalf of the Tenshinkai Aikido Federation, I wish you excellent health and success in continuing to edit one of the most professional martial arts magazines in the world today. Born February 10, 1935 in Thua Thien Province, Central Vietnam. After graduating from high school, he was drafted into the Thu Duc Military Officer Training School. Served as director of the Thu Duc Military Martial Arts and Gymnastic School Association of the Republic of Vietnam Armed Forces. 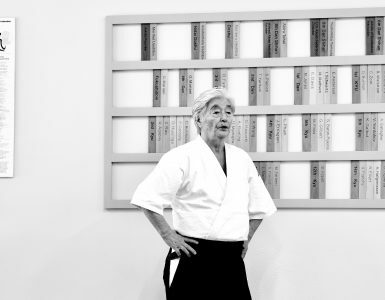 In 1968, founded the Tenshinkai Aikido Federation and serves as its president. Has extensive experience in Han Bai Duong Shaolin Kung-fu, is 6th dan in aikido, 6th dan in tae kwon do, and 5th dan in judo. 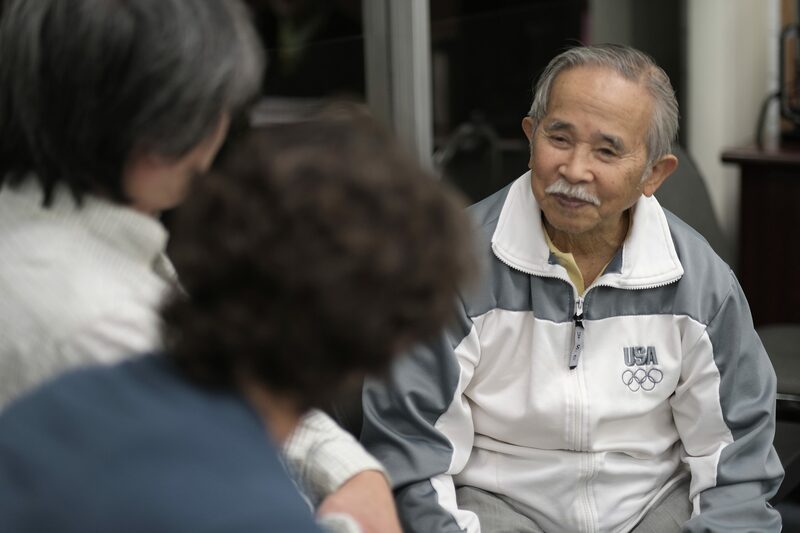 Relocated to California in 1986, where he currently operates his Tenshinkai Dojo.